Enter our Big Christmas Raffle today and you could be in with a chance of winning £5,000 in time for Christmas! Just imagine those extra special last minute gifts or maybe booking a holiday in the sun? With additional prizes of £250, £100 and 5 x £50 you could be enjoying a very Merry Christmas. Tickets cost just £1 each and all proceeds will go towards helping the children and young people that rely on Rainbows, so you’ll also be giving them a wonderful Christmas gift. By entering our Big Christmas Raffle you are helping to bring fun, laughter and support to our children and young people every day of the year and when they need it the most. Mention the word Christmas to 10-year-old Reece at your own risk. His face will light up and he is likely to begin humming a rendition of jingle bells, as only he knows how. Reece, you might say, was born for Christmas and everything good that goes with it. By playing our Big Christmas Raffle today you’re doing something amazing. 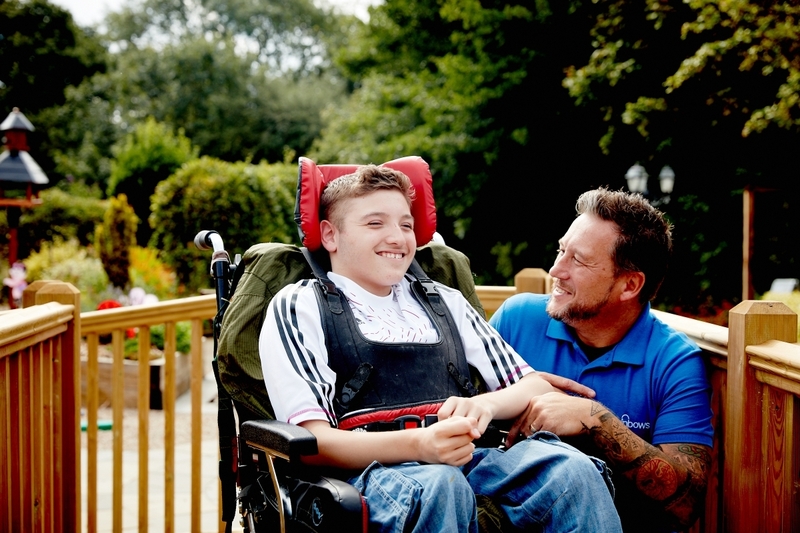 Every ticket you buy or sell will help children and young people like Reece (pictured above). Reece was born with a condition which brings a complex range of life-limiting challenges and his future remains uncertain. He is not expected to live to adulthood. Reece has Robinow Syndrome, an extremely rare genetic disorder which affects the development of many parts of the body. In fact, there are currently only 55 documented cases of the condition worldwide. His foster mum, Yvonne explains: “Reece’s development is affected in many ways. His condition makes breathing independently difficult. And now we have major concerns about his heart. We could lose him at any time,” she adds. He struggles to walk. And he can't talk, (although he can make sounds). But he uses Makaton sign language to communicate and is a happy, smiling child, full of love." Looking after Reece also means Yvonne is an expert carer, able to apply and monitor his medical needs - often around the clock. And Reece is constantly connected to a medical trolley and yet it doesn't seem to slow Reece down, who remains full of energy. Particularly when he visits Rainbows. "Reece has been coming to Rainbows since he was three and he loves it," says Yvonne. "As soon as you turn the corner in to Lark Rise, he knows where he is and gets so excited. It is an incredible place for children, parents and carers and does everyone good." 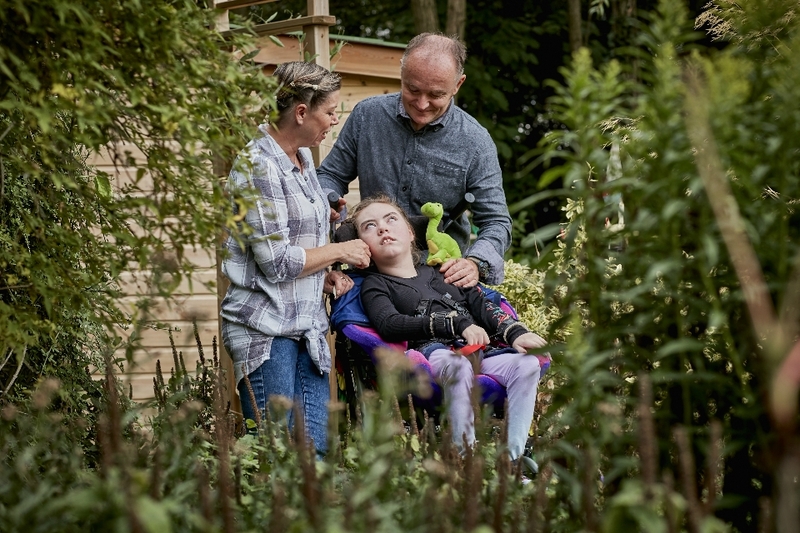 What she values most at the hospice is an opportunity for respite, when the Rainbows Care Team looks after Reece and she can go home to relax, switch off for a few days and recharge her own batteries. "That's priceless," she adds. In addition, there is always a member of the Rainbows Family Support team on hand whenever she might need advice or moral support. As for Christmas: "We will make it the biggest and the best this year. And it is always great at Rainbows, with incredible activities for the children, like the icing on the cake." "We thought last Christmas would be his last," she says. "So we will make sure this one will be amazing. Christmas for him is a special time. And he is so appreciative." 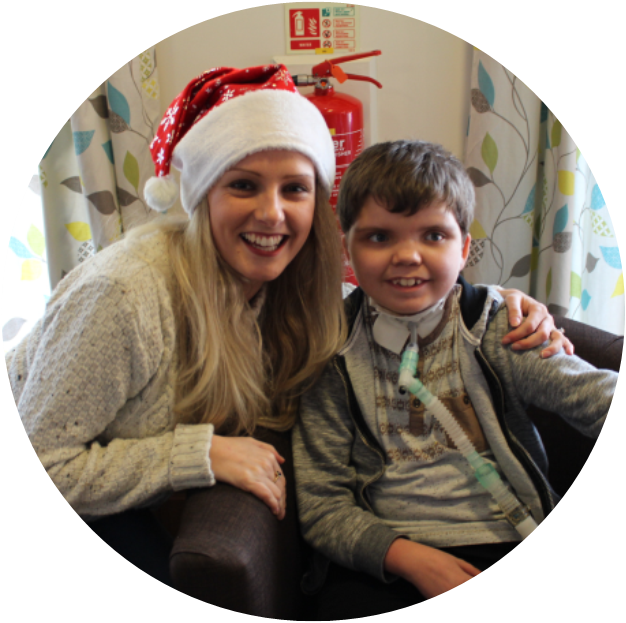 You can help make Christmas amazing for Reece and all children and young people here at Rainbows, by buying your Big Christmas Raffle tickets today! Entries close on Friday 7 December and the winners will be drawn on Friday 14 December 2018. If you win we will send a cheque in the post – it’s as simple as that! Full Terms and Conditions for the Big Christmas Raffle can be found here.